Home » Gender Budgeting and the U.S. 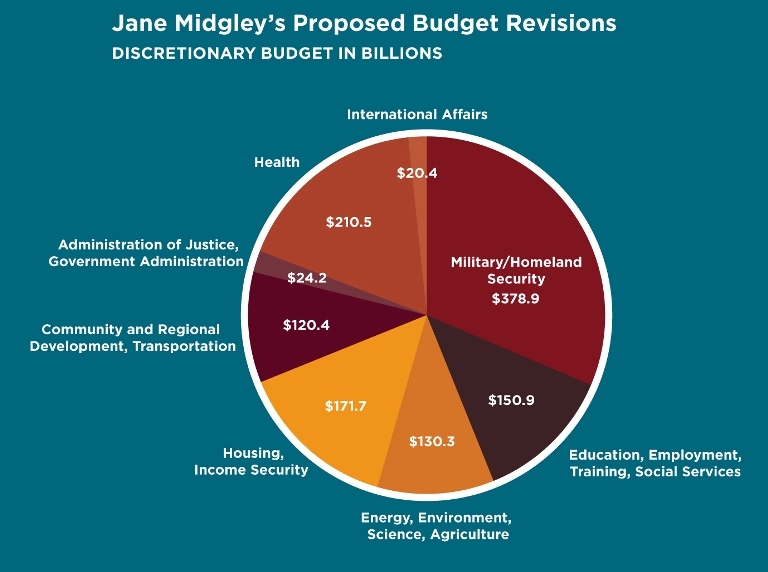 Gender Budgeting and the U.S.
World Pulse asked Jane Midgley, leading economist and gender budgeting expert, to look at the 2010 U.S. budget and rewrite it by making it reflect more people-centered and women-honoring expenditures. What did she end up doing? She drastically cut the military budget and increased significantly budgets allocated for housing, education, and environment. Midgley is the author of Women and the U.S. Budget: Where Your Money Goes and What You Can Do About It. Commonly known as "women's budgets," "gender sensitive budgets," or simply "gender budgets," the practice of incorporating women's unique needs into national budgeting processes--and including women at the table in the budget-writing process--is gaining traction across the globe. According to UNIFEM, one of the foremost leaders training women in gender-responsive budgeting, women budget differently than men. They typically place greater emphasis on healthcare, education, and environmental expenditures, while exercising a greater degree of fiscal restraint. With the practice gaining hold in over 40 countries, gender budgeting has the potential to radically shift global priorities. The Obama administration is moving in the right direction with a new set of values to guide U.S. budgeting, but there is still a long way to go. 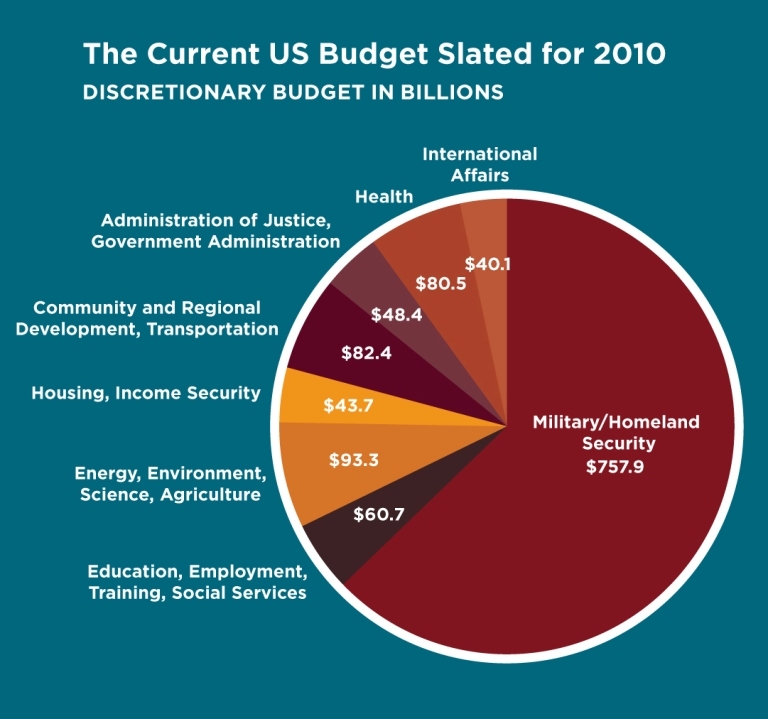 The current budget is drastically weighted toward military spending. My budget shows a large reduction in military, homeland security, and prison spending; a large reduction in International Affairs spending due to the huge percentage of that category that goes to military and arms support; and increased social spending on housing, education, and community development. The military budget can be cut back in several ways: Canceling outdated and overpriced weapons systems such as the F-22 stealth fighter jet; cutting long-range nuclear weapons (the United States and Russia still have thousands); cutting the missile defense system; and cancelling the Future Combat Systems Army modernization program, which will cost $160 billion. These cuts must be accompanied by more emphasis on diplomacy, negotiations, and arms reduction agreements, as well as reversing the decades-old policy of arming developing countries, especially in the Middle East. Increases in social spending will stimulate the economy by strengthening the economic position of U.S. people through improved unemployment benefits, childcare for low income workers, improved public education, reducing housing costs, and making college affordable for all. These investments in turn will lead to a reduced investment in prisons, which are one of the end results of having a society that has a deficit of socially beneficial investments.